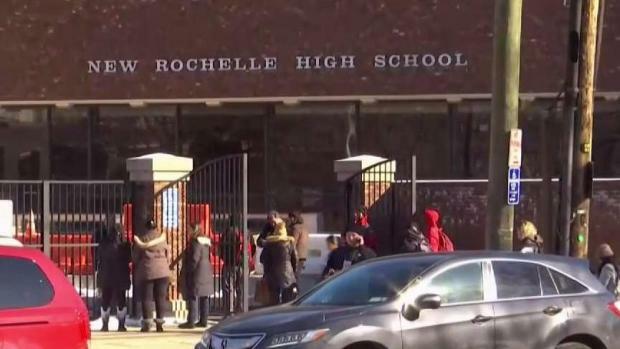 A student was stabbed at New Rochelle High School, police say, the second one to be injured in a fight after a 16-year-old girl died in another stabbing last week. A law enforcement source told News 4 a fight between students just before 9 a.m. Thursday -- apparently related to another attack Wednesday -- resulted in the stabbing of a 16-year-old boy. The outbreak of violence has parents calling out for more to be done to keep their students safe. The injured student was taken to a local hospital with wounds to his left torso, police said. The school was initially placed in lockdown, then lockout modes as police investigated, and no one was allowed in or out. Police said a 15-year-old student was seen on video leaving the school building just after they got the 911 call about the stabbing. 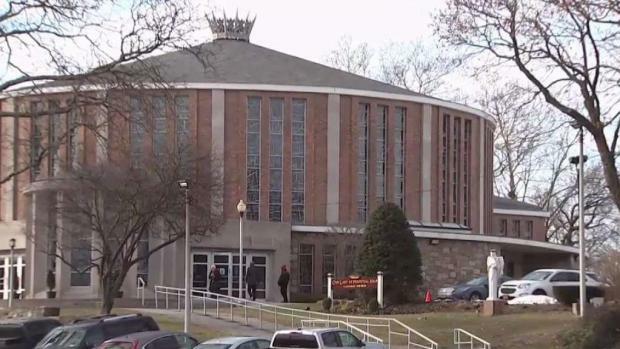 A student was stabbed at New Rochelle High School, police say, the second one to be injured in a fight after a 16-year-old girl died in another stabbing last week. Ken Buffa reports. The school has since shifted to tight controls on access so that only identified individuals with legitimate business can enter and exit. 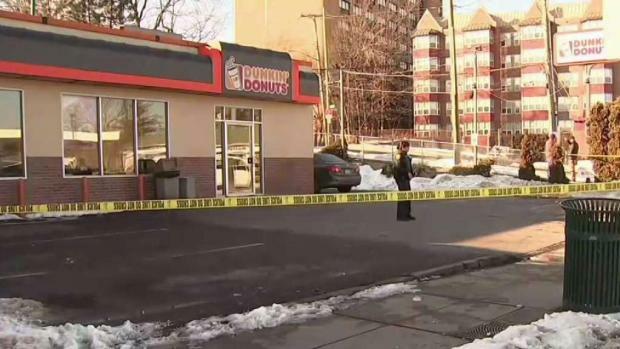 Last week, 16-year-old Valaree Schwab died after classmate Z'inah Brown, also 16, allegedly stabbed her at a Dunkin' Donuts near the campus of the high school, authorities said. School officials said in a statement Thursday that security has been increased at the school since last week's stabbing, and that police are there through the day to help maintain safety. The student had wounds to his torso, police said. "We're taking firm steps to ensure that the high school remains a safe place for students to learn," said Brian Osbourne, the district superintendent. 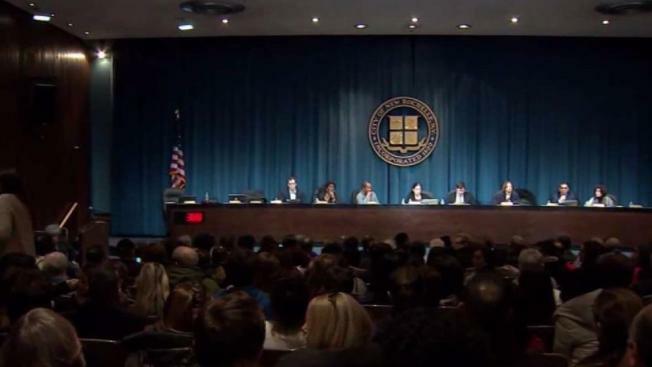 At a meeting Thursday night, hundreds of frustated parents packed into an auditorium at the school to voice their opinions. Dozens more, meanwhile, packed into the hallways hoping to hear the meeting. One Parent, Keisha Clark-Lopez told News 4 that her son was stabbed by one of the suspects in this week's violence when they were in middle school and said that "all the red flags were there." Friends, family and fellow students turned out in droves to a New Rochelle church to mourn the teen who was stabbed to death at a Dunkin' Donuts just off campus. Rana Novini reports. "I begged and pleaded with them like I'm telling you guys for them not to allow this to happen to another child," she said. Another parent, meanwhile, said he didn't know what to say to his daughter after the violence. "Today I didn't know what to say to her," the parent said. "Today was a bad day."